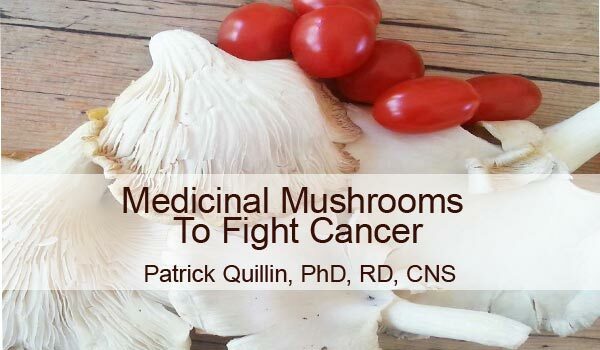 Medicinal mushrooms that fight cancer are very powerful. Recent scientific studies have proved mushrooms have potent health benefits. Medicinal mushrooms are considered adaptogenic substances. Adaptogens help the body “adapt” to stress factors brought on by external environmental influences or internal imbalance. Specifically, they can significantly increase the body’s resistance to trauma, anxiety and fatigue. Cancer is an abnormal growth of abnormal cells. Cells are the building blocks of human body and they have a pattern. They divide to form new cells, perform a certain function and die at a designated time. Cancer cells are abnormal, they only multiply and don’t die. This leads to an abnormal accumulation of cells which is called as a tumor/ cancer. While some of the cancers can be cured in the initial stages, some are highly lethal and endanger the life of the affected person. There are few alternative treatment options too. They come with zero to minimal side effects. Medicinal mushrooms are one such treatment options. A lot of talk is going on these days about them. Medicinal mushrooms have cancer fighting properties. They not only fight cancer but also prevent cancer. Secondly, certain mushrooms exert synergistic effects when they are used in combination with certain anticancer drugs and even radiotherapy. Synergy is when two or more substances work together to produce a combined effect, which is greater than the sum of their separate effects. Mushrooms have shown positive effects on drug resistant cancers too. Mushrooms also prevent the side effects of other forms of treatment when used in synergy. Mushrooms stop the growth of tumor. Anticancer mushrooms work to reduce the division of cancer cells. Thus they stop cancer from proliferating. Studies show that mushrooms can help prevent cancer too, thanks to antioxidant properties. Antioxidants fight cancer causing free radicals. Free radicals generate from various causes: pollution, harmful radiations and aging. They are also generated from chemicals in the food we eat, to the water we drink and even from the air that we inhale. Free radicals are neutralized by antioxidants. Matcha green tea, blueberries, pomegranate etc., are other rich sources of antioxidants. Beta glucans are a type of polysaccharides which are truly versatile. They prevent metastasis/ spreading of cancer from one part of body to another. They also boost immunity. Phellinus linteus is a mushroom which is a rich source of beta glucans. Hispolon is a polyphenol compound which exerts synergetic effects with anticancer drugs that kill cancer cells. Hispolon specifically destroys bladder, colon and breast cancer cells. It is another compound which is abundantly found in Phellinus linteus. The extract from a mushroom called Pleurotusostreatus ostreatus, fights colon cancer well. Pleurotus tuber-regium is an edible mushroom which works potently against leukemia/ blood cancer. Agaricus Blazei Murill, is a mushroom which is traditionally consumed to prevent cancer. It also boosts immunity. Many mushrooms like Agaricus Blazei Murill which belong to the genus Agaricus, fight breast cancer, prostate cancer etc. Answers to breast cancer questions here. Shiitake mushroom prevents the growth of cancer cells (CH72 cells) without affecting the normal cells. Trametes versicolor fights prostate cancer by curbing the hormone which makes way for prostate cancer cells/ LNCaP. It can also be used as an adjuvant therapy in the treatment of hormone responsive prostate cancer. An extract from a mushroom called Coriolus versicolor, fights gastric cancer, lung cancer, blood cancer and lymphoma. A beta glucan derived from a mushroom called Grifola frondosa, boosts the function of anti-cancer agent cisplatin. Ganoderma (aka Reishi mushroom) is very popular in Asia. It is used since ancient times for the treatment of cancer. They also call it the mushroom of immortality. Polyozellusmultiplex is a wild mushroom from Korea which fights stomach cancer, by stopping the growth of cancer cells. Camphor tree mushroom/ Antrodia promotes cell cycle arrest and apoptosis in breast cancer, which is non-responsive to estrogen. Piptoporus betulinus is a mushroom which is usually known as birch polypore. It has proved to reduce the growth of tumor in colon cancer and lung cancer. It exerts no to minimal effects on normal cells. Ethanol extract of mycelial biomass and intracellular polysaccharide of a mushroom called Fomes fomentarius , play crucial roles in gastric cancer intervention. A bioactive steroid which is derived from a mushroom called Russulacyanoxantha, possesses an anticancer activity towards the HepG2 cells. Cordyceps mushroom extracts fight liver, colon and prostate cancer. Winter mushroom which is also called as Flammulinavelutipes, works against blood cancer and breast cancer. Chaga mushroom/ Inonotusobliquus is used since centuries to treat many cancers in Russia and most of the Baltic countries. Psilocybin is a magic mushroom which battles anxiety and elevates mood in cancer patients. To find more commonly available medicinal mushrooms at your local health food or grocery store, ask for lentinan, shitake, reishi,or maitake products. Hypocholesterolemic: They lower your cholesterol levels. High cholesterol leads to heart diseases such as high blood pressure, heart attack and cardiac arrest/ death. Immunomodulatory: They boost your immunity, thus they prevent infections. They exhibit this function by boosting the production of lymphocytes/ white blood cells which fight infection. Anti-allergic: Mushrooms prevent allergy and asthma. Nephroprotective: They protect your kidneys. Anti-microbial agents: They kill microbes which are causing you diseases. They fight digestive diseases, leaky gut syndrome, stomach ulcers, heart diseases, sleep disorders and even anxiety and depression. Discover how a healthy gut leads to better health! Anti-inflammatory: They fight the signs of inflammation: redness, pain and heat/ fever. Anti-fatigue: Mushrooms fight fatigue even in chronic fatigue syndrome! Restore hormonal balance: By increasing immunity, mushrooms bring back homeostasis. How are medicinal mushrooms consumed? They are usually consumed in the form of soup, tea, powder, tincture and extract. Medicinal mushrooms form a growing segment of today’s health industry. Lot of companies are engaged in producing anticancer medicines from mushroom extracts. It’s also a growing market which is going to continue to flourish.